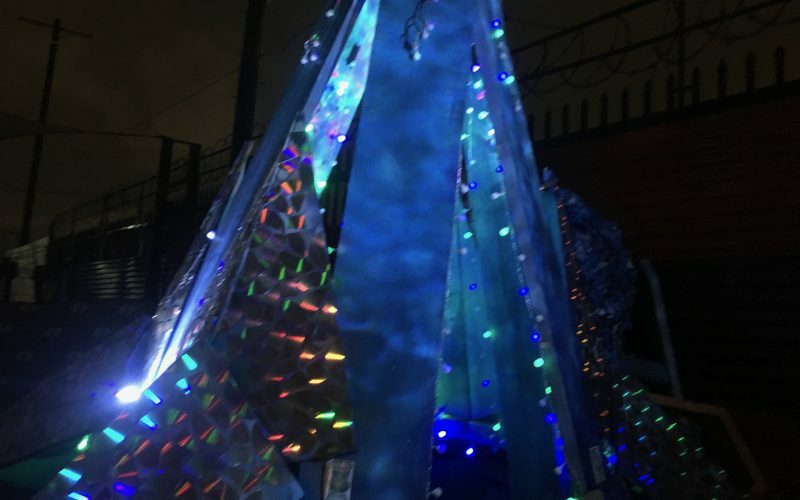 Jameson Hubbs is a multidisciplinary artist native to Los Angeles who specializes in creating immersive environments and interactive installations. 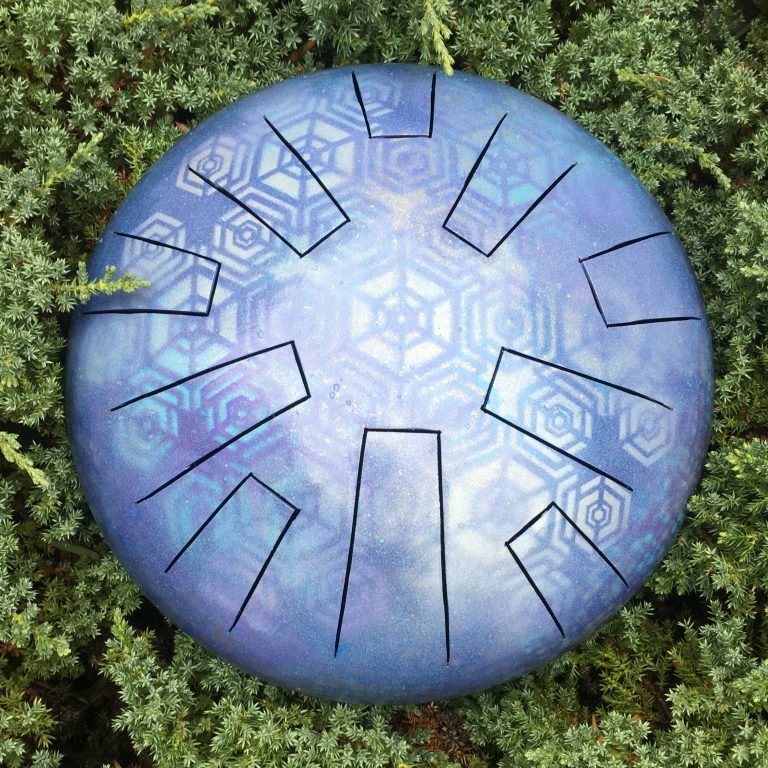 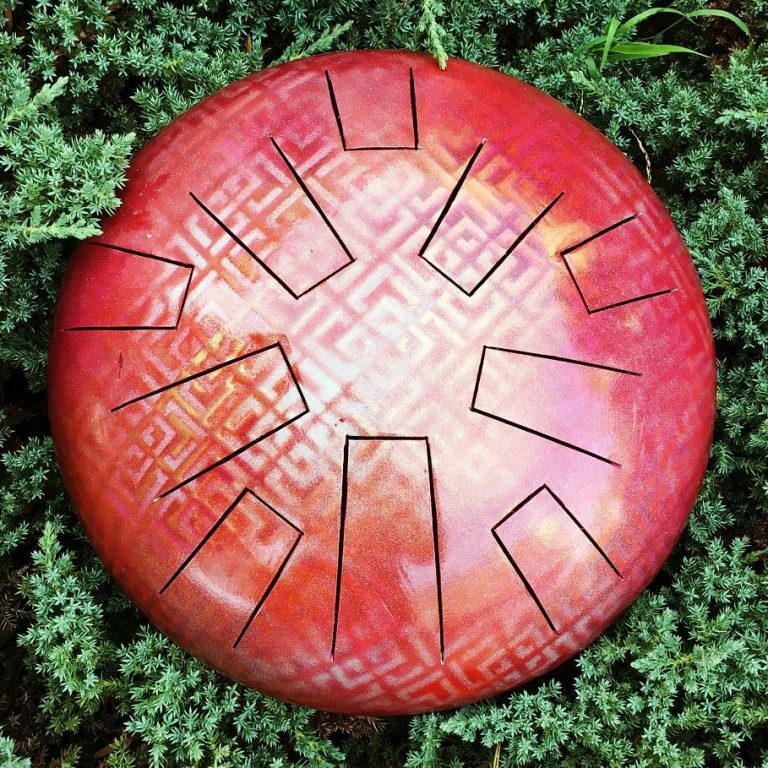 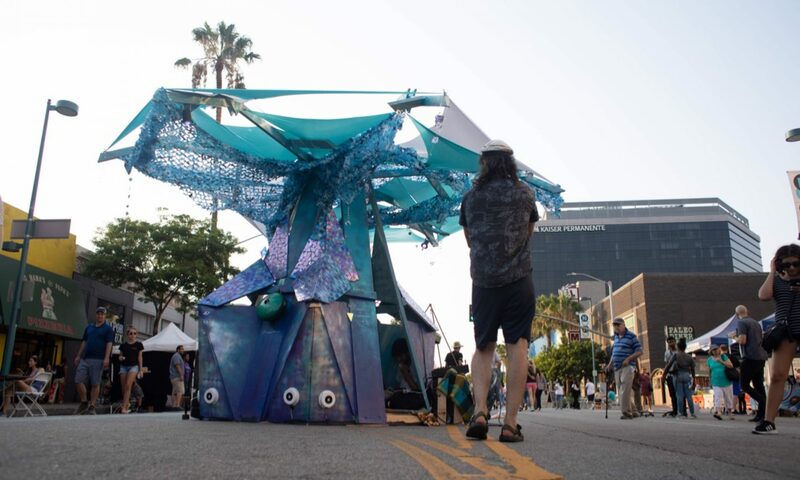 Jameson’s ethos is driven by using interactive art as a tool to awaken the creativity and connection necessary for a larger paradigm shift in Western society. 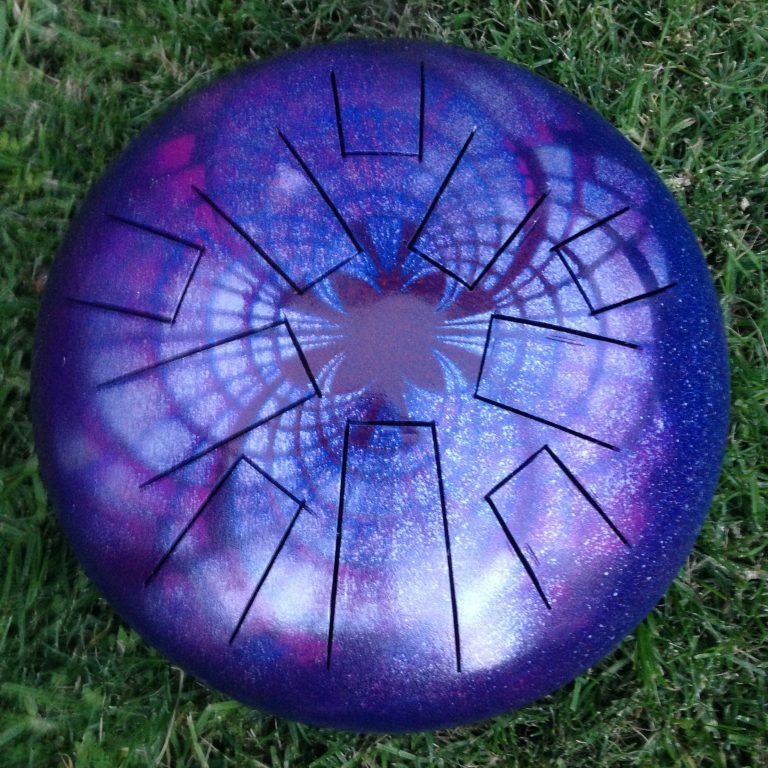 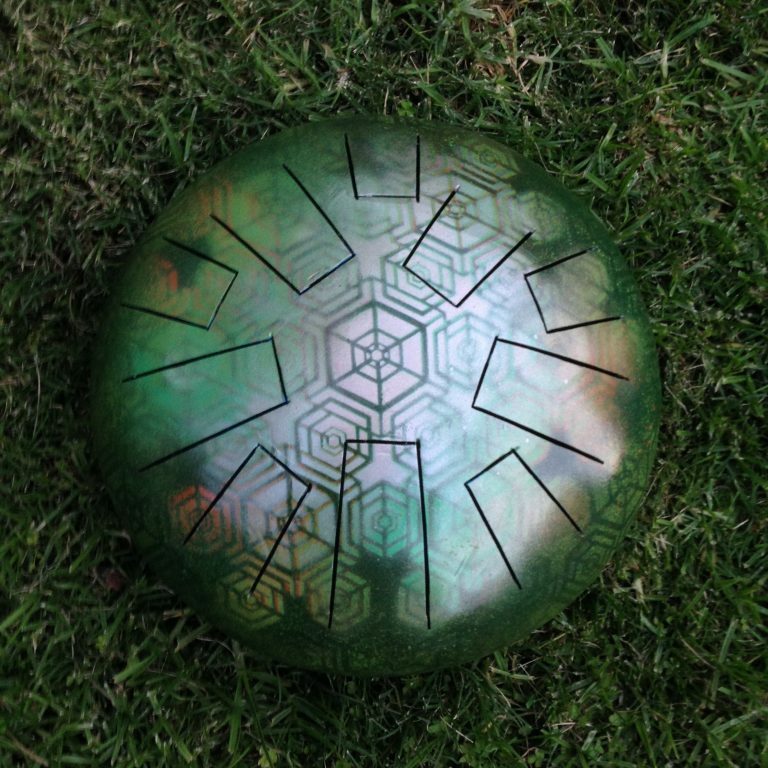 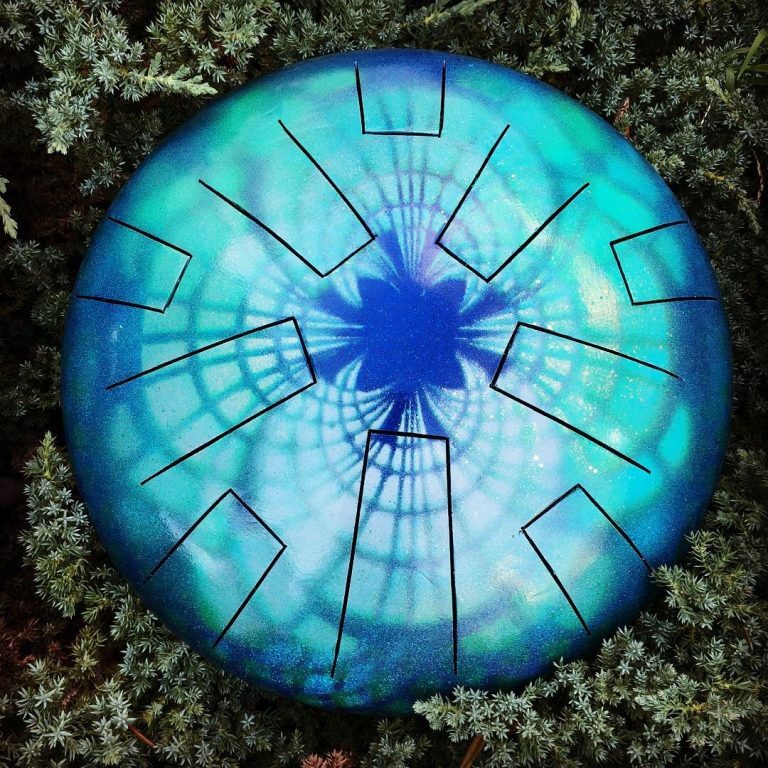 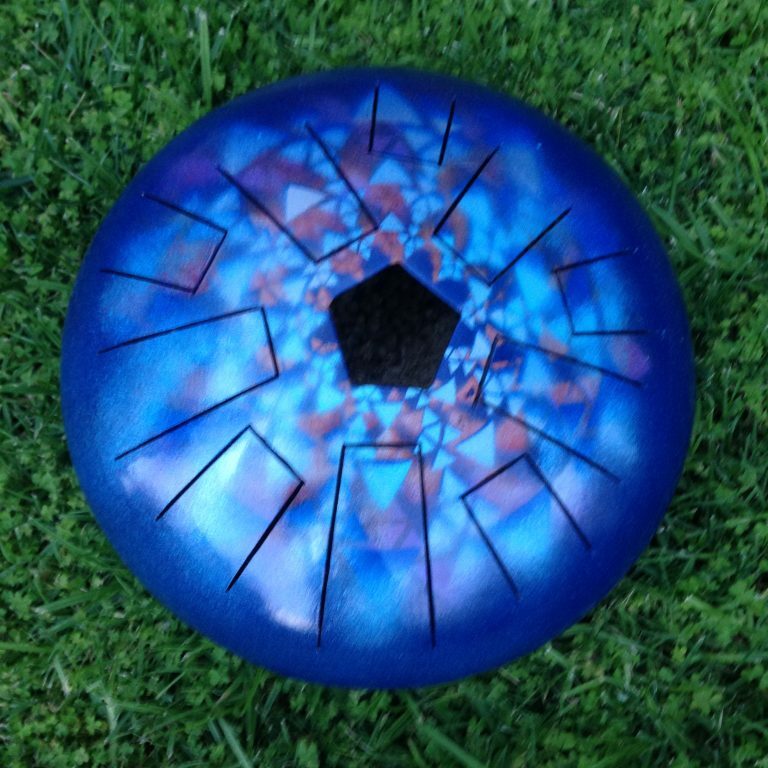 He is also the owner of Genius Drums, an upcycling business that creates one-of-a-kind musical instruments. 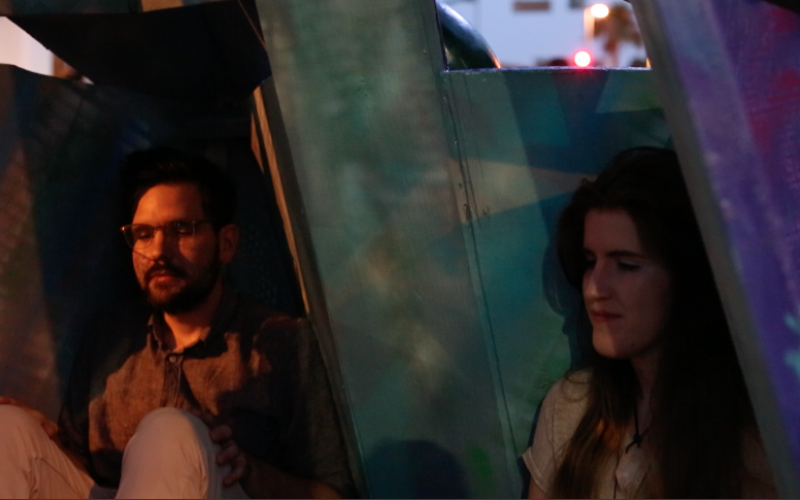 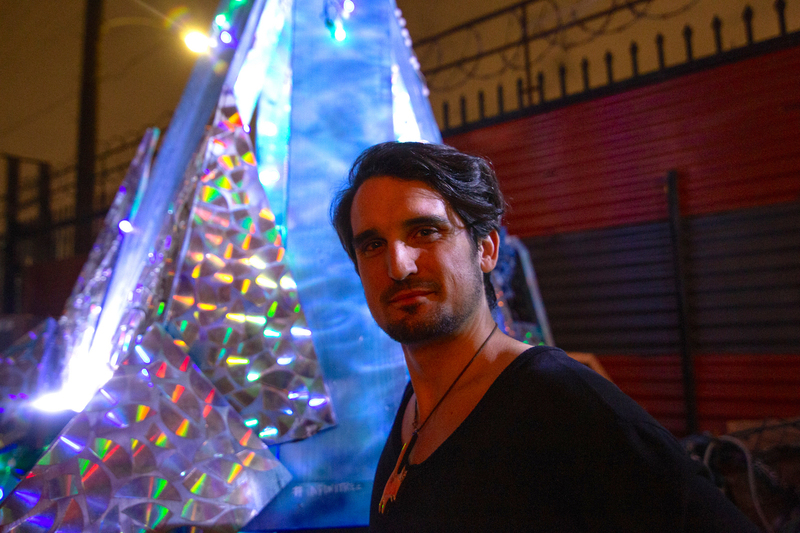 Jameson aspires to build a series of interactive music sanctuaries around the city as part of a larger movement that uses public art to generate urban commons. 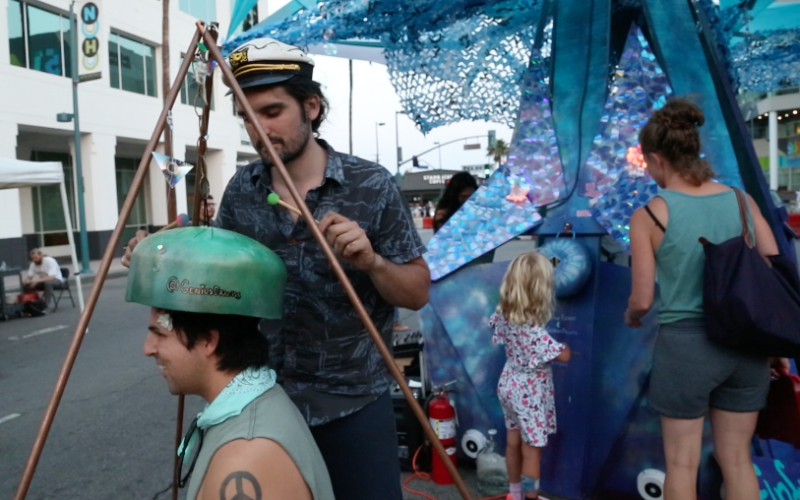 His other long term goals include founding a nonprofit to donate instruments for schools and establishing tiny house communities for artists. 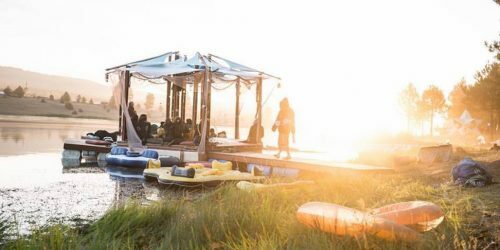 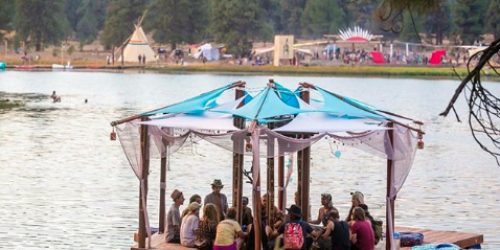 Jameson designed this floating sanctuary for the 70,000 participants of Oregon Eclipse and served as the creative director on the project team. 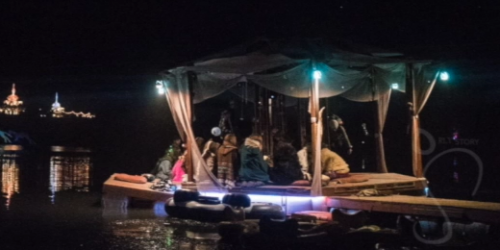 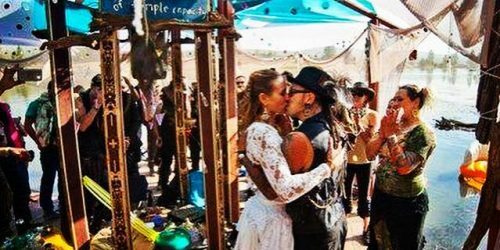 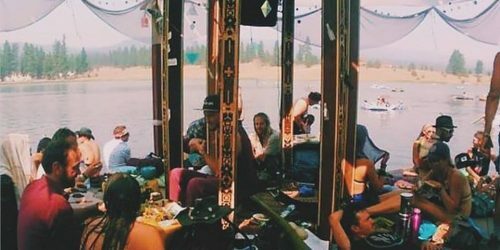 The Genius Sound Temple featured a tea lounge, vibrating bass floors, interactive floating instruments, and a variety of small performances and ceremonies- including a wedding the morning of the solar eclipse. 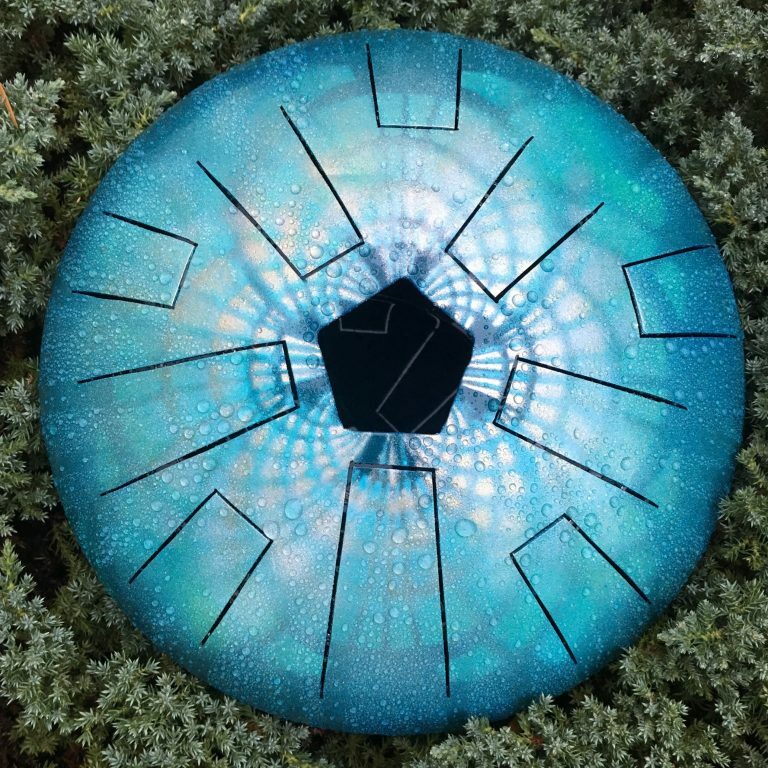 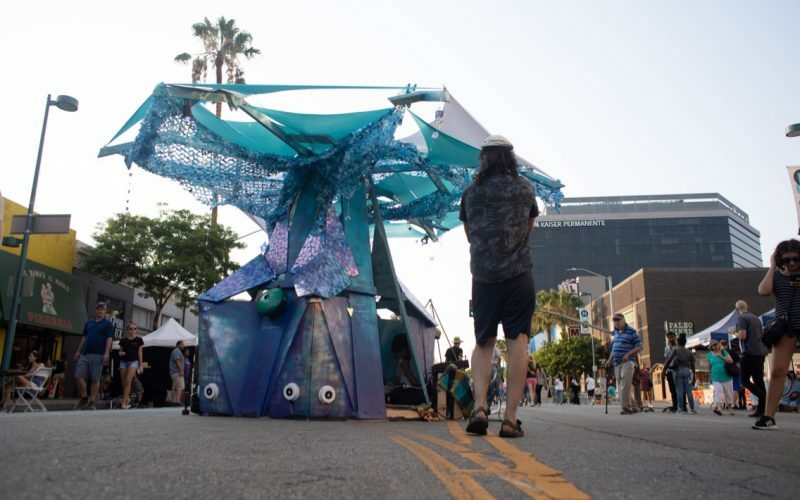 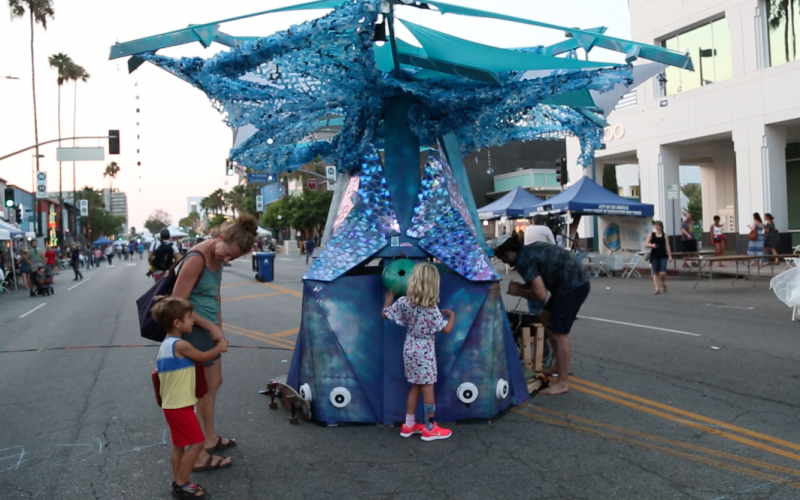 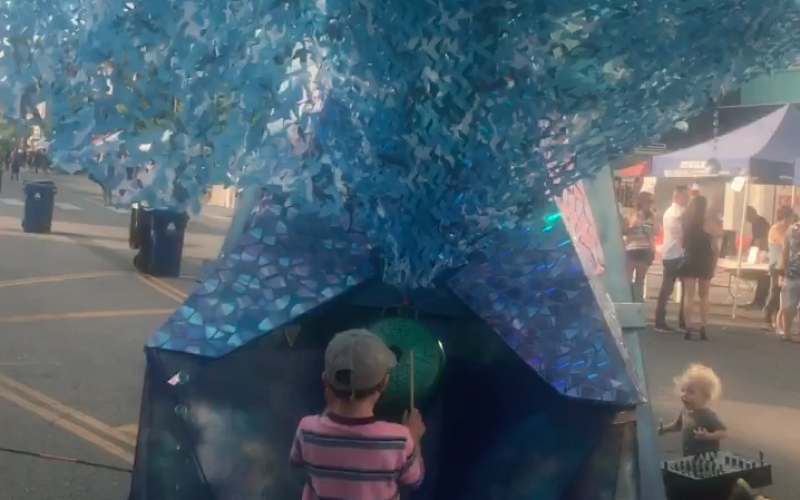 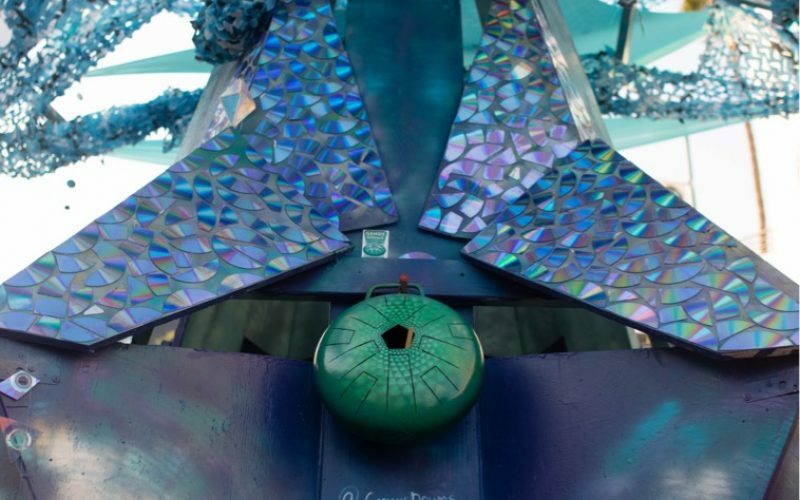 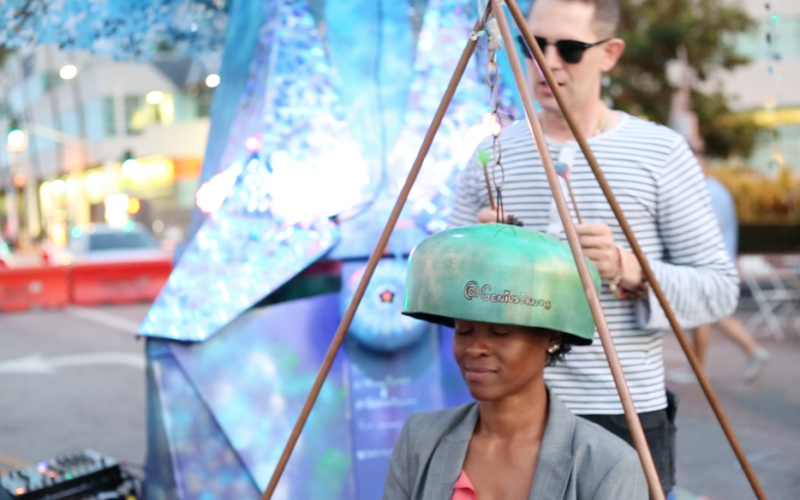 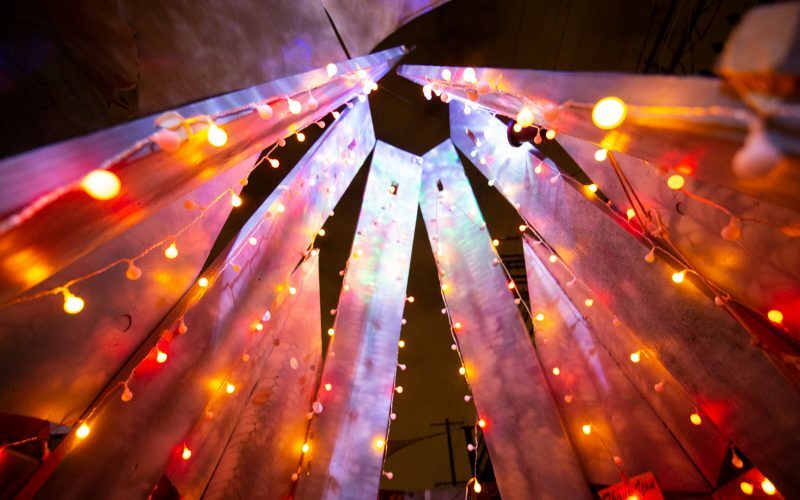 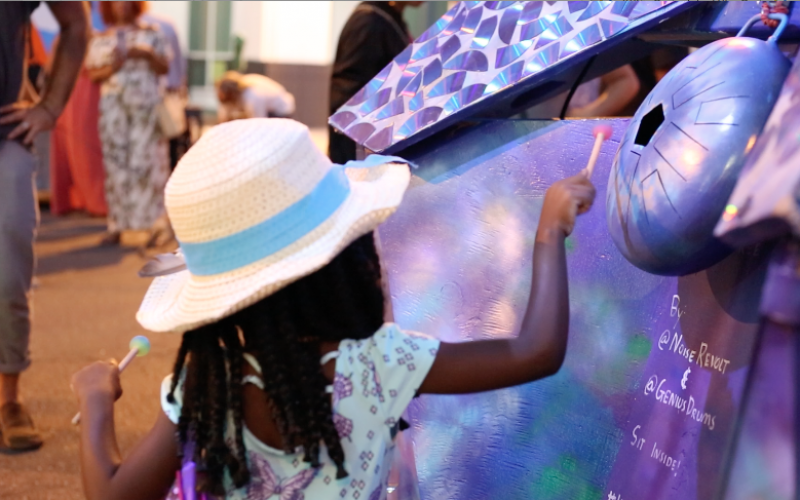 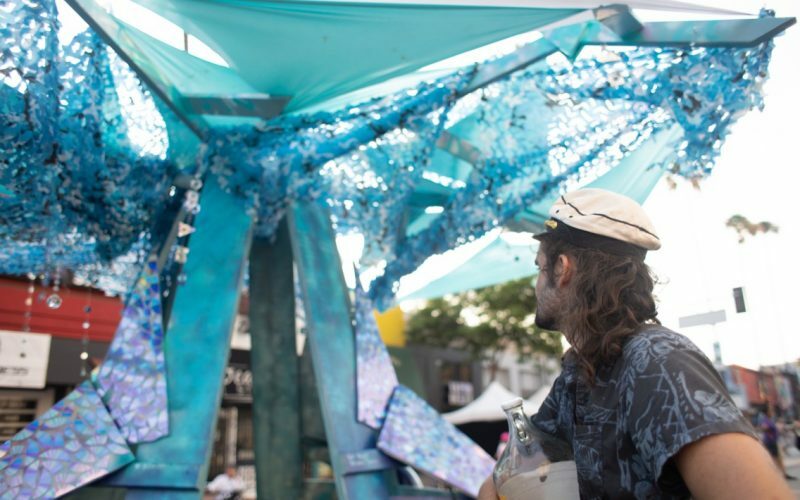 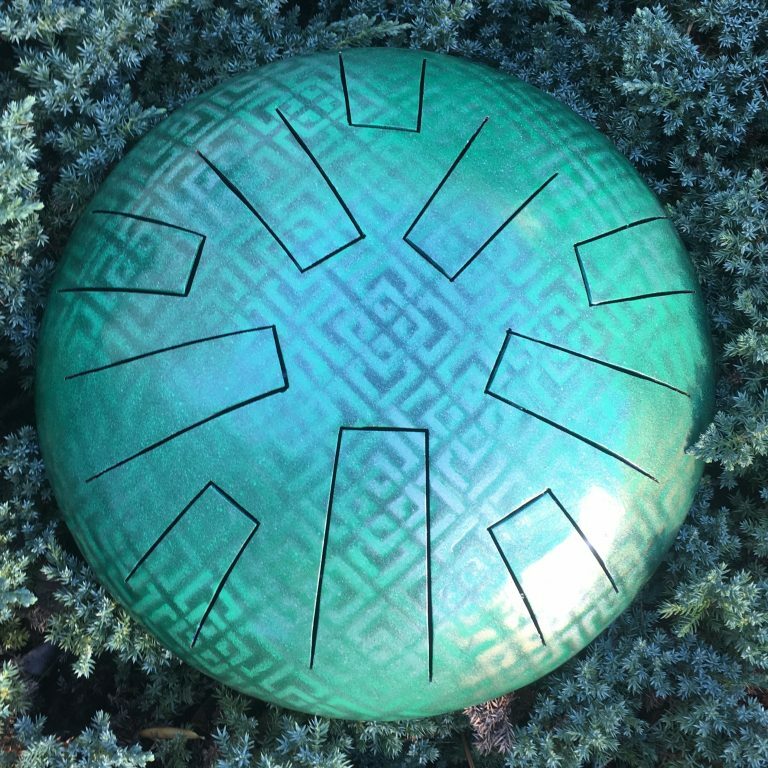 The Infinitree was commissioned for an open streets event in Los Angeles as a kid-friendly immersive art installation. 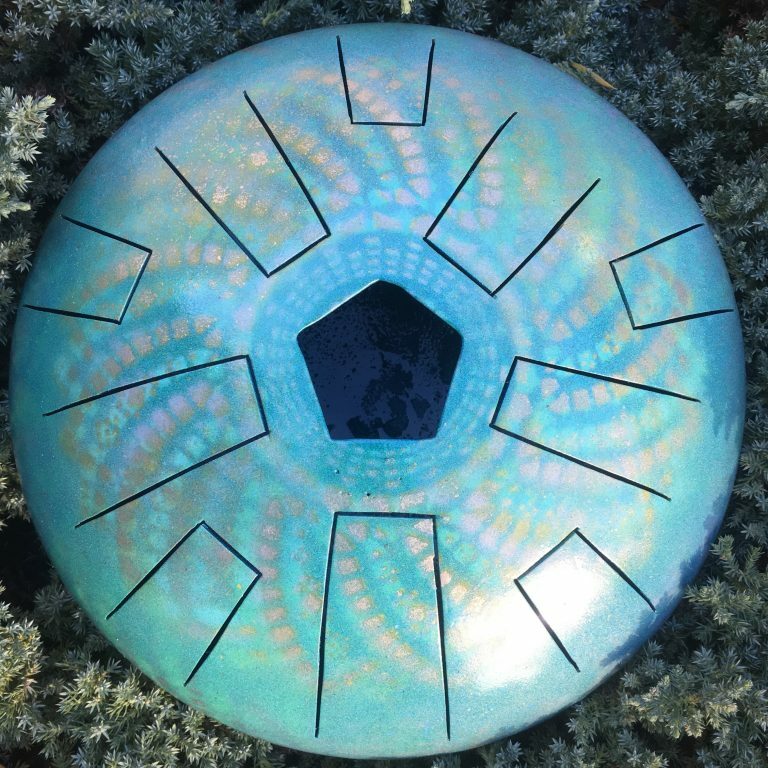 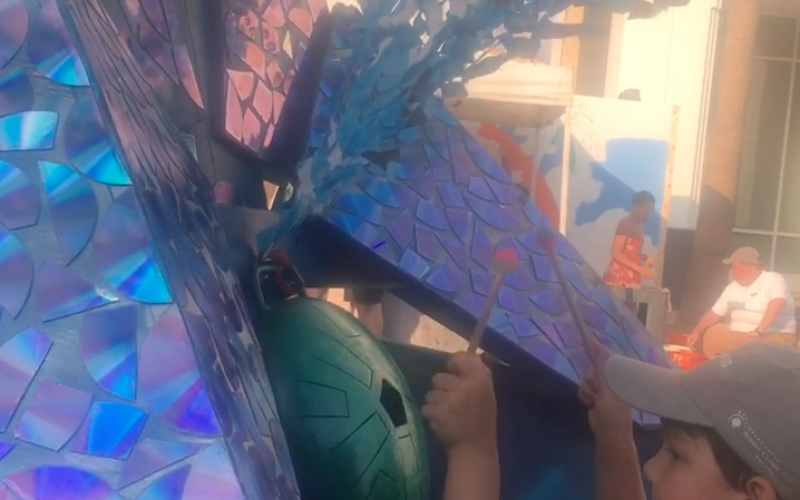 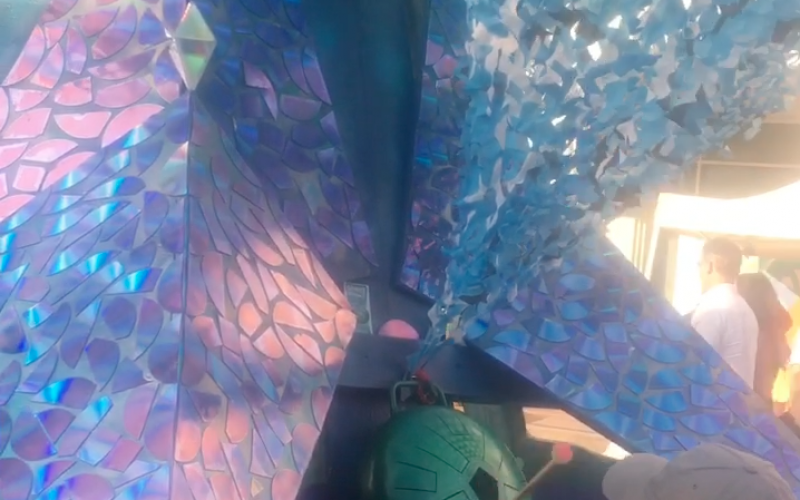 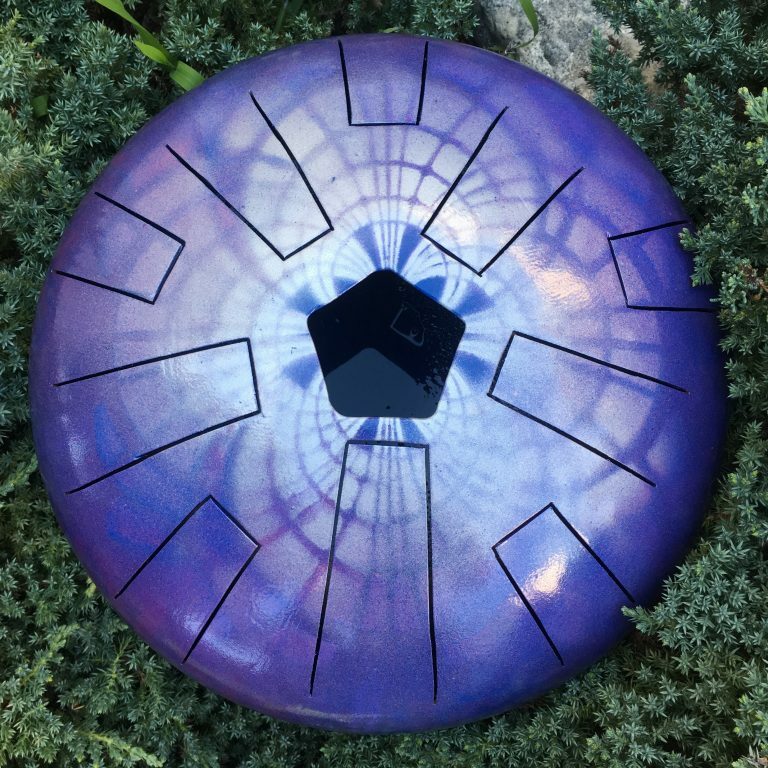 It features vibrating bass floors and tongue drum instruments for interactivity, as well as mosaics from upcycled CD shards and geometric painting throughout the space. 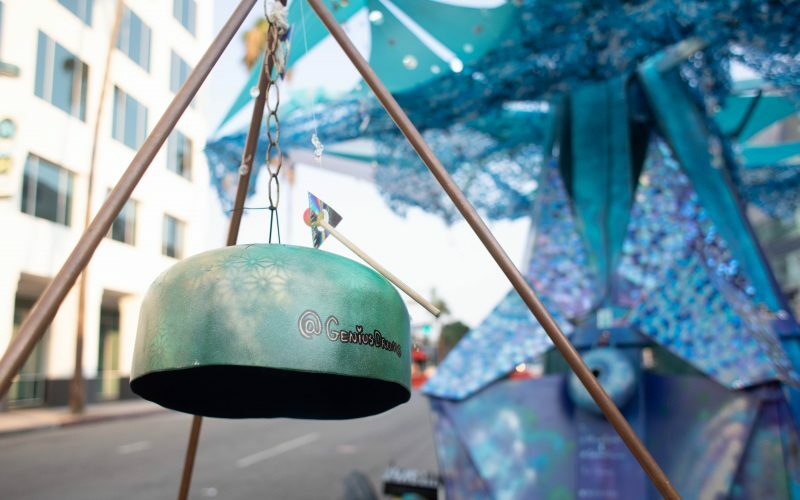 Genius Drums are melodic steel instruments handmade from upcycled propane tanks. 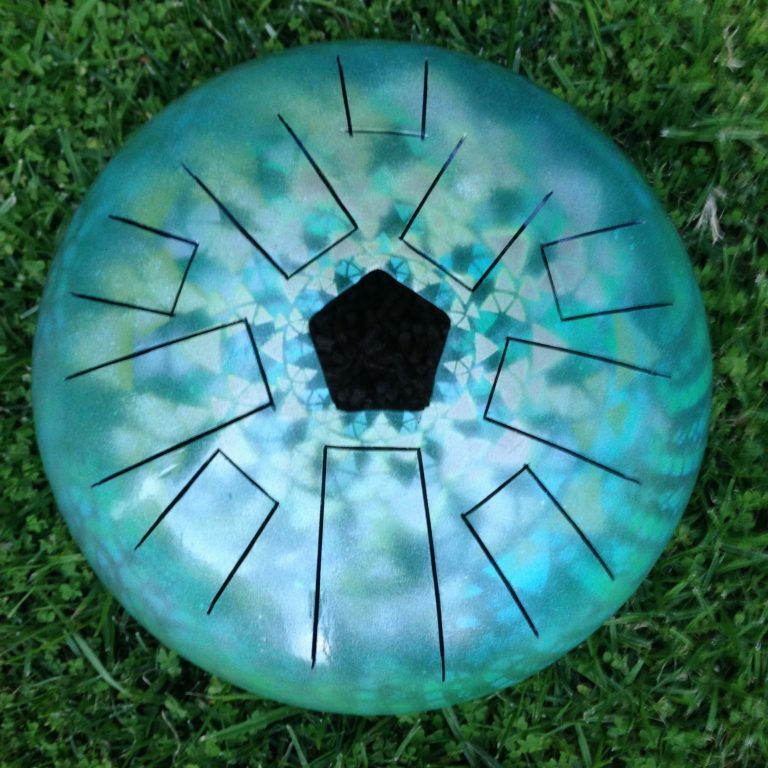 Each drum is tuned to harmonic scales that are designed so that anyone can play great music regardless of skill. 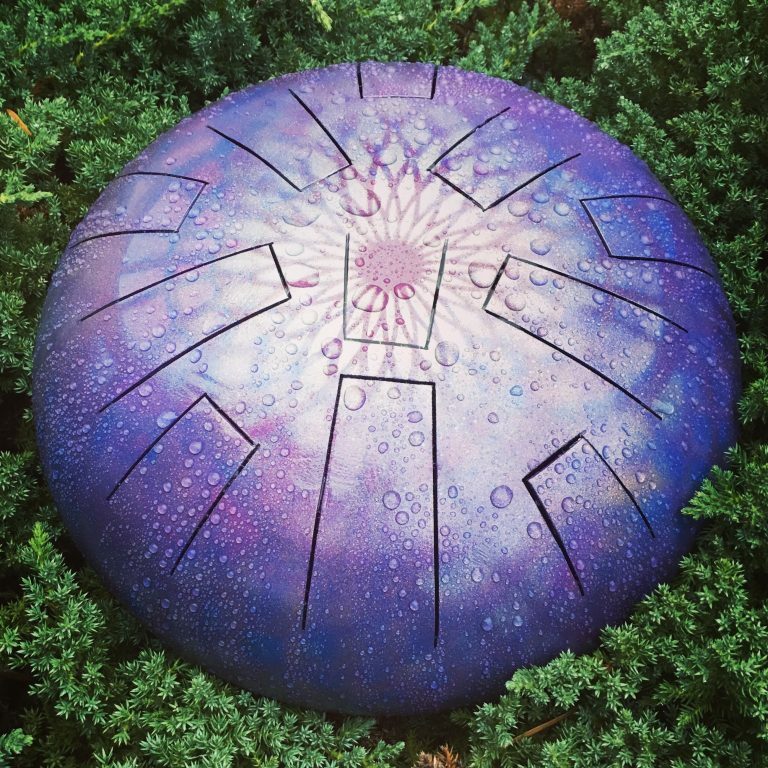 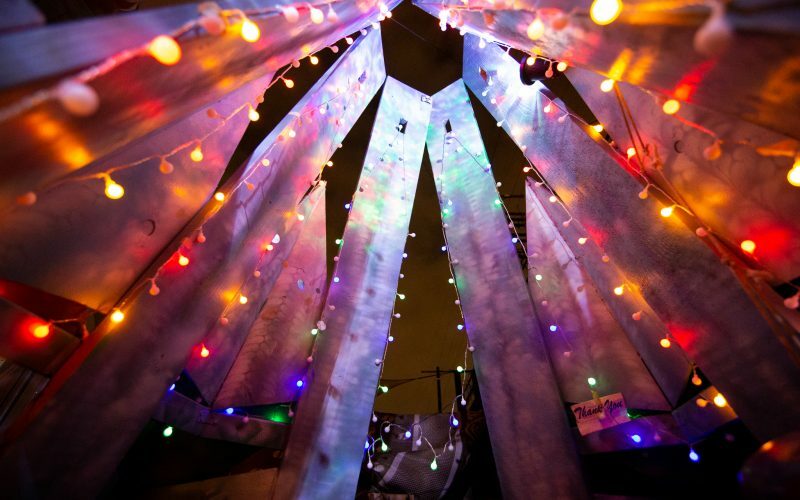 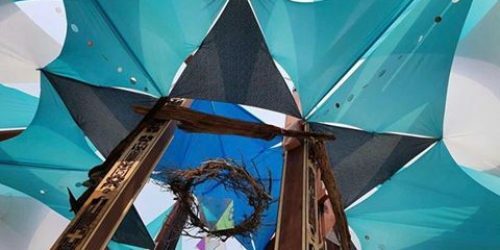 The Altars of Genius is an installation commissioned by Lucidity Festival in 2017, consisting of a series of 9 instrument sculptures for creative interaction by participants.